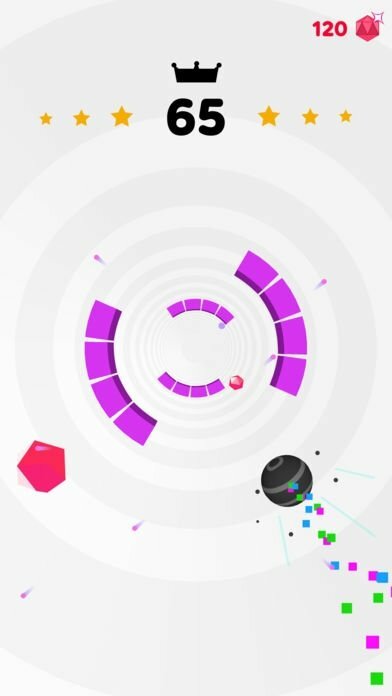 If you're into addictive casual games that put your reflexes and patience to the test, you have another reason to be happy. 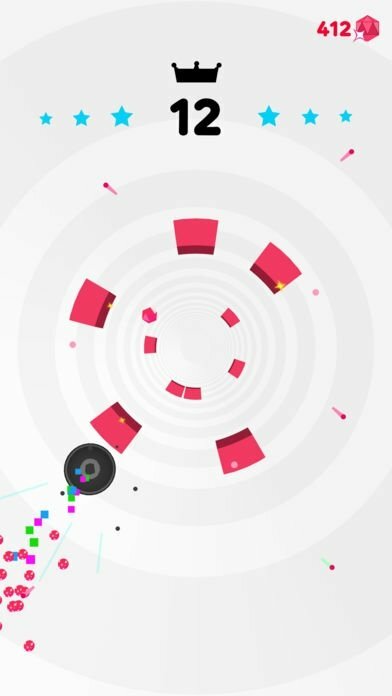 You can download Rolly Vortex for iPhone, a game that's also available for Android devices and that offers you exactly what you were looking for. 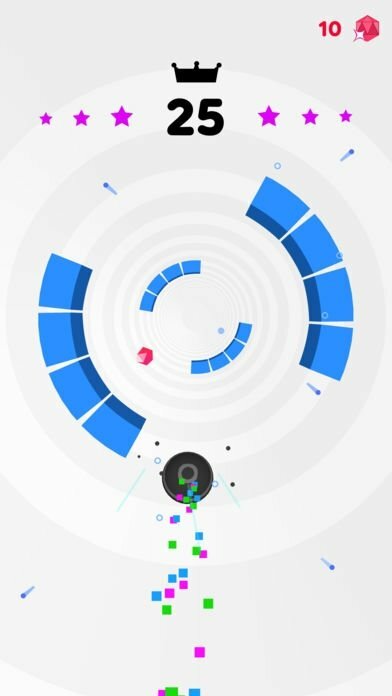 It's a video game in which you'll have to control a ball that advances through a vortex and that you'll have to move from side to side to try to avoid all the obstacles that you come across. Always at a constant speed and with the only possibility to move left or right, you'll have to cope to go as far as possible. 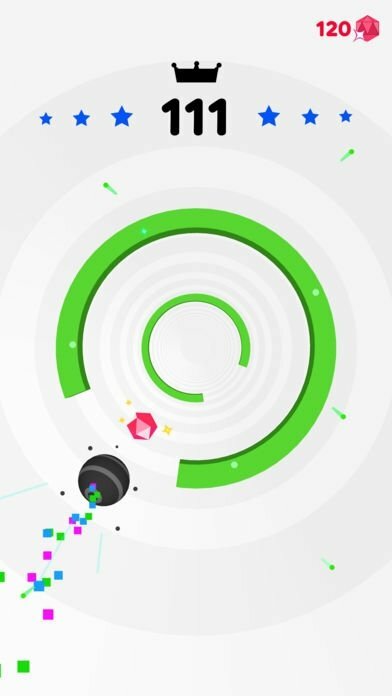 Your score will increase as you advance, and you can also collect point bonuses to make that score grow even higher, whilst you explore different scenarios and dodge different obstacles. And although it isn't an online game, you can share your score on social networks in order to compete with your friends to see who's the best. Its approach is very simple but it guarantees hours of entertainment on end. 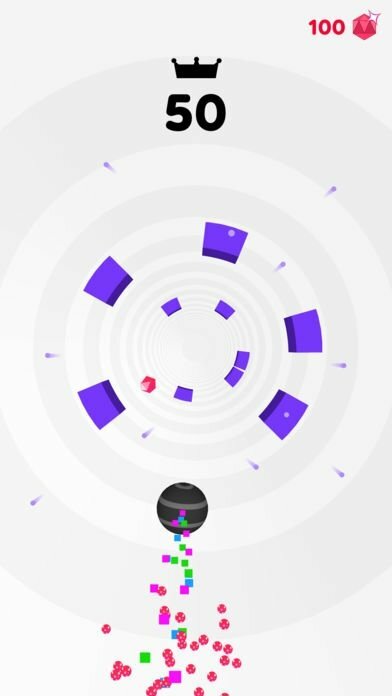 This game is developed by VOODOO, one of the video game development studios specialized in simple casual games for mobile devices and that's gaining plenty of popularity and success amongst users which is helping it to compete with the almighty Ketchapp.